Thermo Labsystems Multidrop 384-832 Reagent Dispenser w/ Titan 384 Plate Stacker . New Life Scientific, Inc. 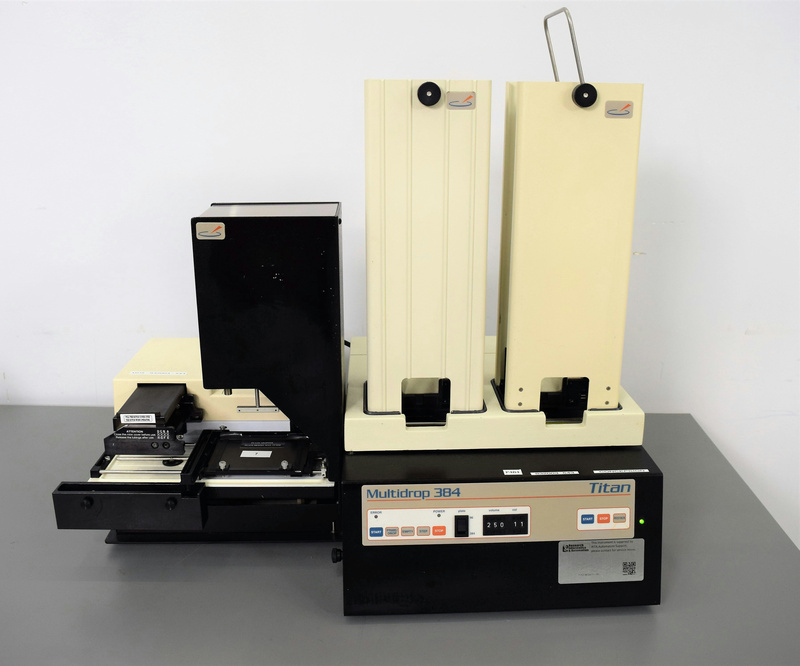 This unit is used for rapid filling of 96-well and 384-well microplates and comes with the Titan Plate Stacker. Our on-site New Life Scientific technicians visually inspected and confirmed the instrument initializes. They verified that the unit is functioning properly and all the buttons are working.